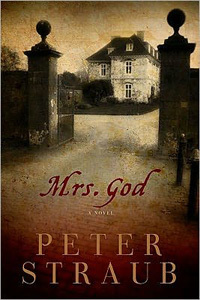 I had my eye on Bradford Morrow’s short story collection, The Uninnocent, and Peter Straub’s short novel, Mrs. God, from the moments (a few days apart) that they arrived in my inbox. I’ve been a fan of both writers for decades, admiring the ways that they’ve applied their literary sensibilities to the themes of horror literature. (Below, Brad invokes the term “gothic,” which in some ways has become to the horror/dark fantasy genre what “slipstream” was to science fiction—a way for literary critics to identify the sophisticated stuff.) What I didn’t realize, but probably should have, is that the two writers knew each other well, and were more than happy to send each other a few questions about these books, and about the fuzzy territory where genre and literary fiction overlap. 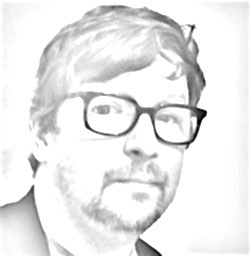 Bradford Morrow: As a horror writer who has achieved international commercial success but also stayed true to your serious literary roots, you have often been fearlessly innovative in the way you’ve crafted your narratives. Would you mind talking a little about how you perceive the divide between so-called “genre” fiction and “literary” fiction? My sense is that there is a growing number of serious writers who ignore this critical distinction altogether. 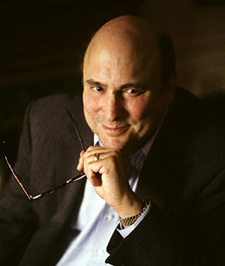 PETER STRAUB. I’ve been seeing for years that the distinction between genre fiction and literary fiction has been erased by a number of writers whose work assumes that the genre markers can be overlain atop the literary, thereby making the question of a real distinction purely academic. John Crowley and Kelly Link, both of whom began with an at least theoretical attachment to science fiction and fantasy, are the poster children for this tendency. 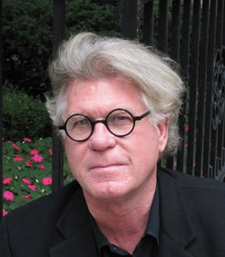 Dan Chaon and Brian Evenson are literary writers whose work falls naturally into considerations of horror and the gothic. For decades. Stephen King has been more or less devouring attributes of the literary stance and using them to expand the possibilities to be found within horror. Of course many genre writers happily go on using the toolkit/toybox handed to them by previous generations, writing pseudo-Lovecraft stories, pseudo-Sherlock Holmes stories, updated hardboiled novels, etc. This impulse comes from a very common desire to replicate deep satisfactions by echoing the forms and gestures of their sources. Hence the many variations on the Tolkien model for fantasy.These replications, most of which are worthy, are grounded in the desire to create pleasure, suspense, and gratification in the reader. None of them, however, go any farther, so the experience of a prolonged reading of such writers is like that of meeting child after child, brothers, daughters, first cousins, grown-up sons and teenage sons, of the same family. But even the most literary of genre-based writers wishes for a positive pleasurable response from the reader (though it may be for a more complex variety of pleasure than that offered by a Rex Stout novel, Rex Stout being for these purposes an adult son of Sherlock Holmes). There will never be any genre-rooted variation on Finnegans Wake, for example, though I think The Good Soldier is practically begging to be used in this way. And now, a Question for you, my dear friend: You have demonstrated, it delights me to observe, an unusual openness, for a literary writer of the purest kind, to the possibilities to be found in genre writing, which is most often either dismissed out of hand or patronized by authors of literary fiction. And most if not all of your more recent work has ties to mystery or horror, especially The Diviner’s Tale and The Uninnocent. To me, The Uninnocent is really filled with horror stories, with joyous embraces of any number of horror’s stances, attitudes, gestures, and favored narrativities (a word I think I just made up.) So I want to ask you how you got that way, and what this general artistic evolution of yours means to you. One would think that such a movement would necessarily be toward a general narrowing of focus and intent, but in you it seems to involve a kind of widening-out, a kind of opening to a different Otherness. How could this have happened to a devoted student of Gass, Barth, and Gaddis? Bradford Morrow: My interest in the gothic—and by extension, horror—dates back at least as far as my second novel, The Almanac Branch, in which the narrator, Grace Brush, may or may not be hallucinating electric-pink light people in the ailanthus tree outside her bedroom window. I co-edited with Patrick McGrath an anthology, The New Gothic, in 1991, which brought together writers as wildly diverse as Anne Rice and Angela Carter, Ruth Rendell and Kathy Acker, Emma Tennant and William T. Vollmann. In other words, the genre writers alongside literary writers, so-labeled. A few of the stories in The Uninocent also date back to the same period in the ’90s, including “The Road to Nadeja” and the title story itself. That said, this is a challenging question, Peter, because in the past my novels fluctuated from mystery/gothic-centered narratives to fairly large scale political/historical “literary” investigations. The more I think about life, I think about it as a very dark place. These latest books also embrace a necessary chiaroscuro of hope and faith. My view of the gothic is that, well, the focus is on evil, entropy, illness mental and otherwise, all things dark. It concurrently and inevitably juxtaposes with good, light, sanity, and so forth. One of the reasons I have become so increasingly interested in the gothic (and even horror) is because it offers me a rich opportunity to explore that ineffable thing that resides in the heart of the most diabolical sociopath, and that is a fundamental, albeit often paltry, goodness. As for the literary element, one of my favorite works by William Gaddis is Carpenter’s Gothic, in which he draws upon every gothic trope ever invented and even “samples,” rapper style, passages from Jane Eyre. Even NWA and the Geto Boyz were late to that one, or at least simultaneous. (Don’t you tell me the Novel is Dead!) I’m circling around your question. I guess the bottom line is, I love a lot of different kinds of literatures. When I taught at Princeton, filling in for Russell Banks who was on sabbatical, Joyce Carol Oates invited Stephen King to give a reading. The auditorium was packed with not just students and other professors, but a coterie of devotees who rode in on motorcycles. When King got up to the podium, the first thing he did was hold up a copy of William Gass’ recently published novel, The Tunnel, and said something to the effect of Have you ever hear of this guy William Gass?, then proceeded to give a mind-blowingly inspired reading of a passage from the book that I had published in Conjunctions some fifteen years earlier. Pure magic. I sat there awestruck. The generosity, empathy, will always stay with me. When Gass and I were in Paris soon after, attending a highly literary conference, I told him that story, and I don’t think he believed me at the time. These genre and literary worlds truly meld more often than we might imagine. It’s ultimately about the dynamism of the writing itself, and of the vision. Another question for you. One of the many things you plumb in Mrs. God, which I recently re-read with renewed respect for your craft, is the tenuous, chancy nature of reality itself. Your protagonist journeys from a recognizable, seemingly real world into one that becomes, layer after layer, mile after mile, more unfamiliar to both him and the reader. One of the things that fascinated me was how the tone of the prose stays the same even as we move into stranger registers. Could you speak to how you go about composing these wildly different worlds, and maybe touch upon your process from inspiration to page? Of course, in Mrs. God, everything in the perceived world comes to us filtered through the consciousness of William Standish, which means that these apprehensions, the ones presented to us one after another on the page, are from the beginning highly corrupted. Standish himself has taken a misperception, an utter falsity, as the core of his truth, so when he enters the tricky, ever-deepening realm of historical enigmas, Esswood House, which here includes all the countryside for miles around, especially the village of Huckstall, he doesn’t have a chance of planting his feet on solid ground. The very nature of ground is to be slippery, shifting, uncertain. The tone of the story pretty much declared itself in the opening sentences and paragraphs. I remember reading them over and being surprised by their air of authority. Oh, I said to myself, so that’s how it’s going to go, I think already understanding that the authoritative tone always carried within it the seeds of chaos and dissolution and was in fact virtually an invitation to these interesting conditions. After that, the process consisted largely of reporting each day to my desk and writing down the streams of words and pictures that went through my head. And, I hasten to add, doing my best to remember all the material that preceded wherever I happened to find myself on that day, so that I could echo and refer to any bit of it that seemed useful or promising at the time. I knew everything was going to go to hell, I just didn’t know how. Here is my second and last question to you, Brad: I’m crazy about every story in The Uninnocent, and am tempted to ask you about the arrangement of the stories and the pacing of the book as a whole. I think the whole book opens out from and expands upon its first sentence, “I have always been a hoarder.” We want you to show us your treasures, and you do exactly that. But I’d like to ask about the last story in the book, “Lush,” which won an O. Henry prize, and is surely installed in its place of honor at the end because you feel that it is not only a superior story but also in some way a kind of thematic summation. I want to ask about the structure of “Lush,” its antiphonal self-interrogations.That is, how the story gets up and walks, on the “legs” of two voices. We’ve been talking about genre, and I’m pretty sure that this antiphonal device would never occur to 95%, maybe even 97%, of genre writers. Why did you write it this way? Did you feel that this technique could release some emotion not attainable otherwise? Bradford Morrow: “Antiphonal self-interrogations” is a really great phrase to describe the dual-voiced narration that’s so crucial to “Lush.” The two voices aren’t independent, as such, given that their lives are intertwined by the car accident that kills the male narrator’s drunken wife and maims the female narrator who will eventually marry him. At the same time, for much of the story they cannot know one another’s thoughts. So it isn’t a back and forth, a call and response, and yet at the same time they do shed essential light on shared personal histories. Ivy becomes a lens into James; James becomes a lens into Ivy; they both provide insight into the ill-fated Margaret. As I see it, the story is a hall of distorted mirrors in which we can perceive something akin to truth by viewing the convexity of one perception mirrored in the concavity, if you will, of the other. Each is damaged, each is disfigured, whether by alcoholism or physical and psychological injury, but when I allowed them to relate their own stories, find their own ways to reveal themselves through their own distinctive voices, it became a far richer whole. And, I hoped, a truer one. Perhaps the main reason I knew from the beginning that “Lush” had to be the concluding story in the collection was because of the terrifying ambiguity of that final sentence, in which James finds himself in a fatally dangerous place at an otherwise celebratory dinner party, with a question weighing on him that he both knows and does not quite trust the answer to. Obviously, I don’t want to speak directly about what this question is. But I felt that while any number of characters in The Uninnocent are left at the ends of their stories with profound uncertainties still facing them—now defeated, now optimistic, now delusional as they might be—by leaving the final gesture in the book up in the air, it was my hope that readers might resolve whether there was light at the end of a very dark tunnel of a book. Myself, I don’t know what James will do after the last sentence fades into the ether, but I wish him luck. He deserves it for many reasons, as do so many of us.